A common procurement sourcing challenge is to evaluate how financially healthy a potential supplier is. On the supplier side, there is a similar strategic issue for companies when evaluating their risk exposure as sub contractors. In this post, we explore how z-score models could help companies avoid situations like the ones many companies found themselves in after the collapse of the major UK-based construction company, Carillion. Using publicly available data from their filed accounts (as a PLC), we will outline how z-score models, a very basic accountancy concept covered by most 1st-year business students should have prevented Carillion from getting any contracts in Ireland or elsewhere in the past couple of years. The failure to perform this due diligence has resulted in significant losses to SMEs in Ireland and brings the role and moral duty of the State into sharp relief. The Department of Education could be more effective and judicious in its use of PPP procedures to commission public infrastructure. Prior to its financial collapse in January 2018, Carillion was one of the UK’s largest construction companies boasting approximately 43,000 staff globally including 20,000 in Britain. It also had over 450 public-sector contracts (let alone its private-sector business) and a 2016 operating income of £235.9 million. While alternative arrangements were established, the government was forced to allocate an estimated £150m to sustain public services. 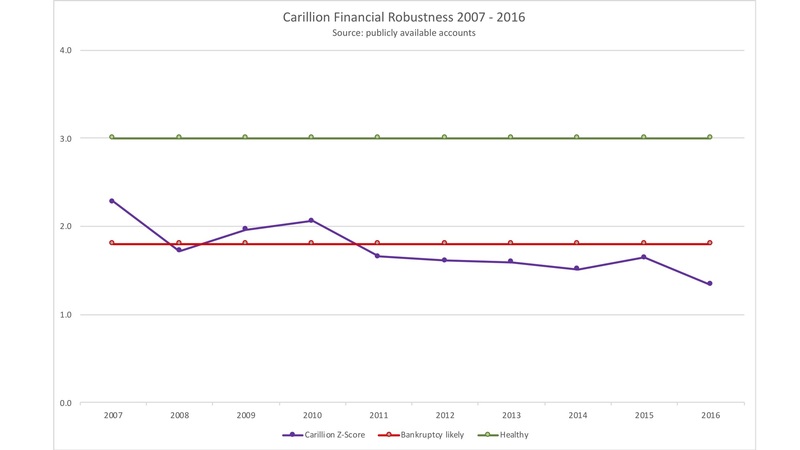 The eventual May 2018 report of a Parliamentary inquiry by the Business and the Work and Pensions Select Committees stated Carillion’s collapse was a story of “recklessness, hubris and greed” while its business model was a “relentless dash for cash.” Meanwhile, a separate July 2018 report by the Public Administration and Constitutional Affairs Select Committee, blamed the UK government for outsourcing public procurement contracts based on lowest price. It stated that the use of contractors like Carillion had caused public services to deteriorate. The UK Cabinet Office unveiled plans to exclude suppliers with poor payment practices from winning major government contracts as a result of the Carillion debacle. 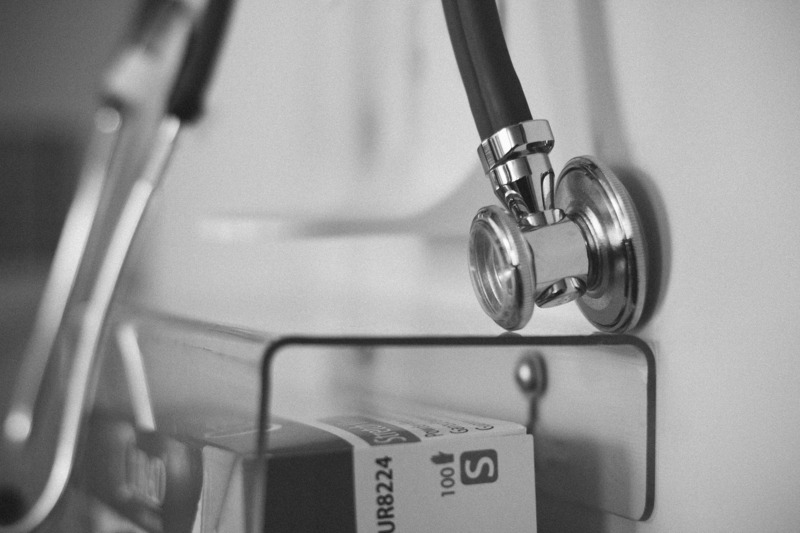 Poor payment practices include non-payment as well as late payment. The proposed reforms threaten exclusionary punishments for companies that do not conform to these new standards. The government will make it easier for sub-contractors to report poor payment performance as part of these measures. Other changes include requirements for government suppliers to advertise sub-contracting opportunities on the government’s Contract Finder’s online system. They will also provide data on their supply chains to show how small businesses are benefiting from central government spend. The government can ensure compliance with the policy through the regular review of project bank accounts. The primary aim of the Cabinet Office proposals is to “level the playing field” for SMEs bidding on government contracts. The enforcement of the new measures will also increase efficiencies in public procurement. A more diverse distribution of government contracts can avoid future costs to the taxpayer through avoidable liquidity issues. The overall aim is to have at least one third of all contracts with SMEs by 2030. The announcement that companies with poor payment records are to be banned from government contracts generated mixed reactions. They have been welcomed the Federation of Small Businesses with their chair Mike Cherry saying, “Episodes like the Carillion collapse bring into stark relief the need for stronger action that exclude businesses which cannot demonstrate a fair and responsible approach to payments from bidding for these contracts.” The proposals were also welcomed by market analyst Dun & Bradstreet with their UK managing director Ed Thorne commenting that the proposals were a “positive step in addressing what is a tough and long-standing issue”. Has the UK Conservative government extracted the right lessons and taken the measures necessary to prevent similar events occurring again? It is clear that the government has examined the Carillion situation in detail and the factors that lead to its fall. Carillion routinely paid suppliers very late despite signing up to a prompt payment code requiring payment within 30 days. Many suppliers waited 120 days or more for payment. According to the Federation of Small Businesses, Carillion masked their own financial failings by squeezing smaller firms and used their dominant position to do this. The multi-faceted anti-dote on paying poeple on time, making whistleblowing easier and allocating more contracts to SMEs has worked elsewhere. This is the main way other countries have successfully addressed similar scenarios. Below 1.8: A 95% likelihood of failure. Applying the rules for z-score models to the accounts of Carillion would have made it extraordinary to still award a key contract to a consortium of which it was a member. It is hard to believe a contracting authority would have done so. Suppliers must be vigilant on public contracts in the future. Suppliers should be careful when considering contracts fronted by main contractors as there is no downside to running financial analyses like z-score models to ensure the contractors are solvent and liquid. Over and above this, the Irish State should consider how some of these changes could benefit and protect SME suppliers on its projects in the future. We have lots of great advice on how to approach procurement strategy and tender management. So check out our Procurement Strategy services to see how we can help with tender and bids. You can also search for ‘Procurement Strategy‘ articles on our blog. We are also proud to be a part of the team that delivers InterTradeIreland’s award-winning Go-2-Tender training to SMEs across Ireland, and you find out more here.